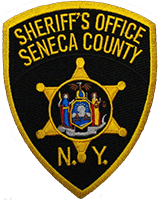 Seneca County Sheriff W. Timothy Luce announced today that Seneca County police agencies will participate in a special enforcement effort to crackdown on impaired driving. While we spend this Holiday Season celebrating with friends and family and looking forward to the blessings of a New Year the law enforcement community across New York State will take to the roads in an effort to stop impaired driving, prevent injuries and save lives. The statewide STOP-DWI Crackdown efforts start on December 13 and will end on January 1 . New York State Police, County Sheriff and municipal law enforcement agencies across the state will be out in force. Research shows that high-visibility enforcement can reduce impaired driving fatalities by as much as 20 percent. Sobriety checkpoints play a key part in raising awareness about the problem. While STOP-DWI efforts across New York have led to significant reductions in the numbers of alcohol and drug related fatalities, still too many lives are being lost because of crashes caused by drunk or impaired drivers. Highly visible, highly publicized efforts like the STOP-DWI Crackdown Campaign aim to further reduce the incidence of drunk and impaired driving. The STOP-DWI Holiday Crackdown is one of many statewide enforcement initiatives promoted by STOP-DWI NY and the Governor’s Traffic Safety Committee. The Statewide STOP-DWI Crackdown Campaign also targets the 4th of July, Labor Day, Halloween, Thanksgiving, Memorial Day, Super Bowl weekend and St. Patrick’s Day. You can help to make a difference by ‘Having a Sober Plan’! Download our mobile app – “Have a Plan” and you will always be able to find a safe ride home www.stopdwi.org/mobileapp Impaired driving is completely preventable. All it takes is a little planning. We wish you and your family and friends a very safe and Happy Holiday season!